8 Canada geese and 2 wood ducks taken on an October morning. 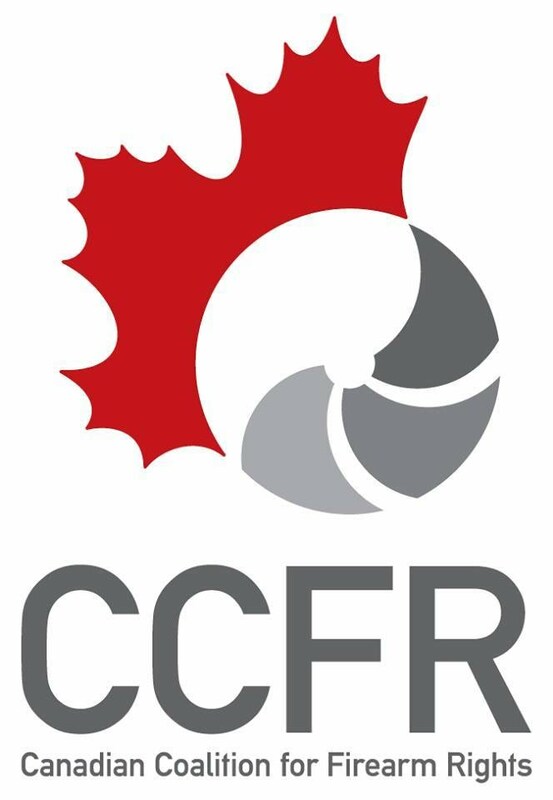 It is Thanksgiving weekend here in Canada. We celebrate Thanksgiving in October up here and it is not as big an event as in the United States. More often than not Thanksgiving weekend coincides with the harvest of soybeans in Eastern Ontario and the arrival of the northern flight of migrating Canada geese. We got word from the land owner that his soybean fields were scheduled for harvest a couple of days before the holiday weekend. Just to be sure, I asked my hunting buddy Omer to take a drive out the Thursday before to see if the harvest was carried out. He went to see and reported, yes, the fields were harvested. With this established I made plans with another hunting buddy, Jason, to get out for a Canada goose hunt the coming Saturday morning. Omer and his new friend Ehtisham completed our hunting party. 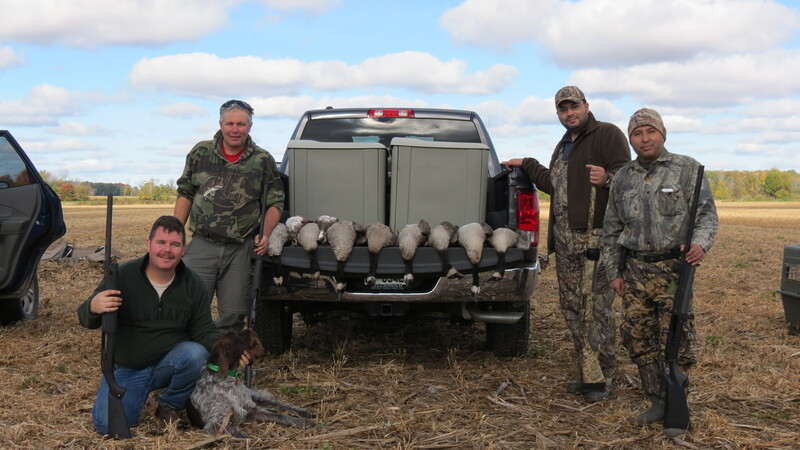 This was Sean’s first Canada goose hunt so we were hopeful we would get into some geese on the freshly harvested fields. I took Thursday and Friday off to get out hunting with my Brittany Hera. We got out to the Marlborough Forest in pursuit of grouse and woodcock. What I saw, or did not see, while we were chasing grouse and woodcock was high flying flocks of migrating Canada geese. This is usually what you expect to see at this time of year. It is an indication that the northern flight is moving into the region. I was a little concerned we might find geese scarce come Saturday morning as a result, but did not let this dampen my enthusiasm for the hunt. We planned to meet on the selected bean field at 5:00 am Saturday morning. 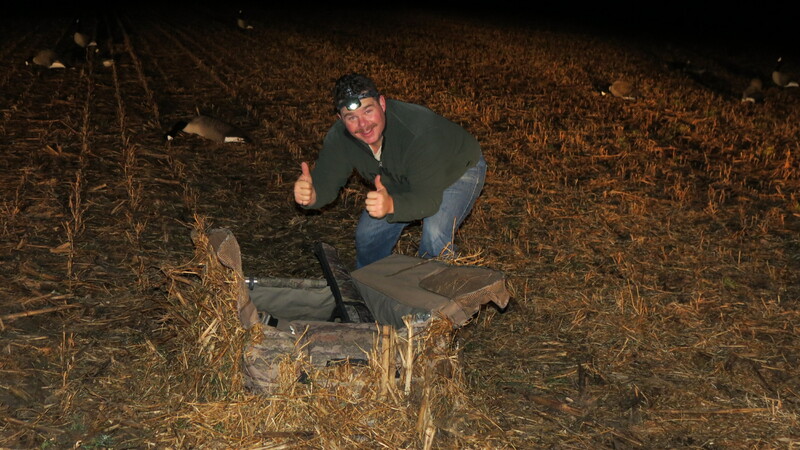 The evening before I helped Jason load his truck with my two dozen full-bodied Higdon Canada goose decoys, his two dozen Higdon shell decoys, his layout blinds and the crate to carry his dog, Nos. Back at my house, I loaded my layout blind, burlap to conceal the camcorders and several of my Carrylite Canada goose floaters. We use goose floaters in the decoy spread as they resemble geese resting on the field. I set my alarm for 3:00 am and was promptly awakened in due course. I had a quick breakfast, loaded my shotgun, shells and cameras into the car and was on the road by 4:00 am. I stopped en route at a Tim Hortons to fill my thermos with black coffee and arrived at the field before everyone else at 4:30. I drove out onto the field searching for a suitable spot to set up, finding a decent looking spot in the middle of the field. There was plenty of chaff and waste beans on the field, plenty for hungry Canada geese to feed on. Jason camouflaging his layout blind. Jason drove up just before 5:00 am with Omer and Ehtisham close behind. We got to work at once, unloading the decoys and layout blinds. We started with the layout blinds, placing them on the field and weaving chaff into the them to conceal them. If you want Canada geese to decoy, you have to make your blind look as though it is part of the field. Once that was done we got to work putting the decoys on their stands and setting them out in what we wanted to look like a flock of Canada geese happily feeding and resting on the freshly cut bean field. Assembling the full-bodied and shell decoys took a little longer than we anticipated. Next time we get out goose hunting we will allow ourselves more time. We had the decoys set just in time for legal shooting time at 6:42 am. I was setting up one of the camcorders when minutes into shooting time a flock of wood ducks winged in, landing in the decoys. Jason, having just loaded his shotgun, flushed the ducks and doubled. Nos retrieved the downed wood ducks as I finished setting the camcorders, then we got into our blinds and waited for the geese to start their morning flight. About one hour into shooting time a flock approached our decoy spread, they looked interested, but flared. The birds flew behind our blinds and one of their number saw fit to land in the decoys. We waited and watched, hoping more would follow suit, but they continued on their way. As I suspected, these were not newly arrived birds migrating from their northern range. We watched as the goose that landed took off and got away unharmed. These were local birds who experienced many decoy spreads and goose hunters trying to conceal themselves and long discovered fields where they can feed and rest without getting shot at. We realized that this morning shooting would be at passing flocks, pairs and singles that approached close enough for a shot. As the morning wore on we saw lots more geese, but most were on their way somewhere else, showing no interest in our field. However, Ehtisham got his first goose when a single approached the decoy spread from 12 o’clock well within range. Sean dumped the bird cleanly with one shot and Nos made the retrieve. I racked up a spectacular miss on a passing flock, but Jason and Omer knocked down three birds. Later on Jason downed a single and one addled goose landed in the decoys only to be run down by Nos who gets credit for the kill. Later on I dumped another goose approaching the spread from 12 o’clock with one shot. It is my second kill using improved steel shot and I was duly impressed. We stayed on the field until 11:30 am and at about 11:20 am we heard the familiar honk of a lone goose behind us. I sent out a series of excited honks and clucks on my goose call and the bird came winging in, offering Omer and Jason a shot as it quartered in front of them. It was downed cleanly and on that note we called it a day. We had eight Canada geese and two wood ducks in the bag, including Ehtisham’s first goose. Given the fact we were gunning local birds wary of decoy spreads and blinds, we did very well. 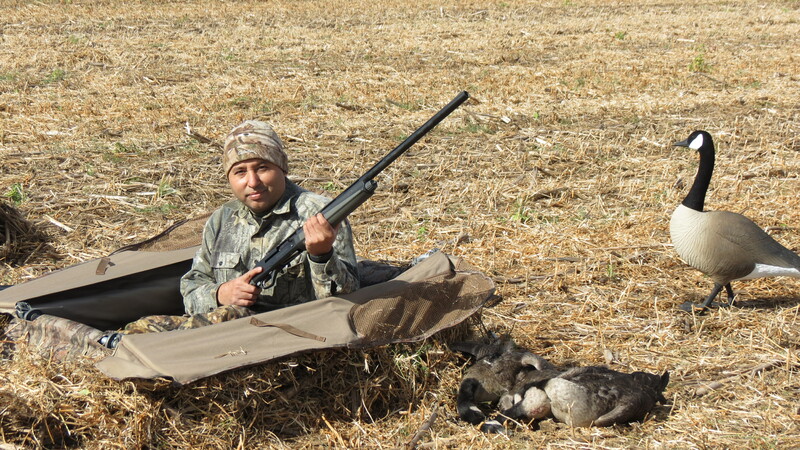 Ehtisham on his first Canada goose hunt. 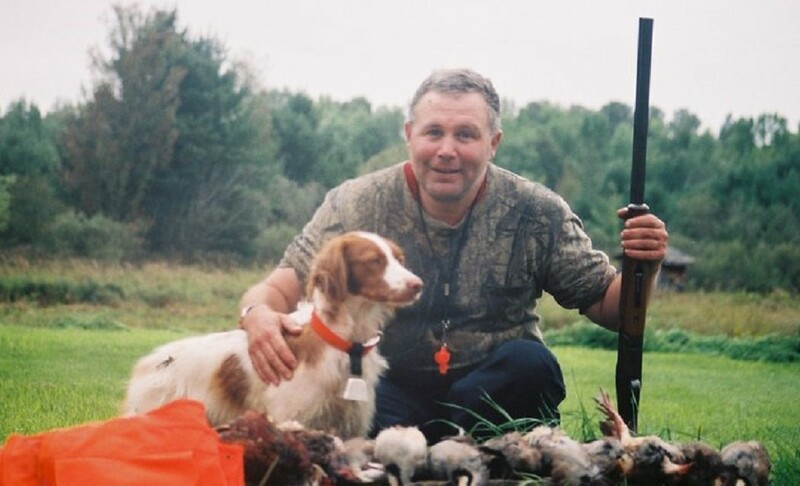 This entry was posted in Canada goose hunting, Gun dogs, Guns, Hunting dogs and tagged autumn migration, bean field, Browning BPS shotgun, Canada geese, Canada goose calling, Canada goose hunting on October 12, 2015 by geoffreyandmika.